Saada Branker is a freelance features writer and copy editor putting words to work. Her home-based business, Saada STYLO, offers organizations and businesses different writing and editing services. A Ryerson University journalism graduate, Saada specializes in delivering clean copy and is guided by her recorder, dictionary, and bank of ideas. She seeks other nomads of different cultures, shoe sizes, opinions, and experiences to keep her focused as a features writer, forever documenting for posterity. When you think of good editors—meaning solid in every capacity—think of Toni Morrison. Consider her nineteen years of experience at Random House. She was editing textbooks in the late ’60s before joining the big publisher. She became its senior editor and worked on the writings of Toni Cade Bambara, Gayle Jones, Angela Davis, Boris Bittker, Henry Dumas, Ivan Van Sertima, and so many other voices throughout the ’70s. In a burgeoning era, these were writers of movements. Their words would make African-American lives relevant in a world that was closed off to the very idea—Morrison included; for it was also a time when she launched her own literary career. Her first novel, The Bluest Eye, was published in 1970. She would continue to write and publish while still editing illuminating works for RH. Publishers Weekly features a 2016 transcript of the Nobel Laureate talking about that time in her career. Writing for an audience? Always include editing in your project budget. … there are different kinds of editors just as there are different forms of editing. Know what you want done to your copy. Here’s the thing about editing. Anyone who writes text and sends it out into the world needs it reviewed. That makes how many of us in a day? Seriously, I can’t count that high. For all of your projects that carry text, consider allocating resources toward revisions. This includes investing the dollars as well as spending time to work with an editor to get the copy’s readability where you need it to be. Reason being: think how disorganized writing or one-too-many misspelled words can turn people off. You lose them quickly. The next time you build your project budget, include editing. It’s an investment with returns. Here’s something to know when seeking an editor: there are different kinds of editors just as there are different forms of editing. Know what you want done to your copy. There’s developmental editing, structural editing, stylistic editing, copy editing, proofreading and more. Finally, it’s definitely worth knowing that many skilled editors follow standards. Check out the Professional Editorial Standards 2016 for a good idea of what clients can expect and what editors should be doing. 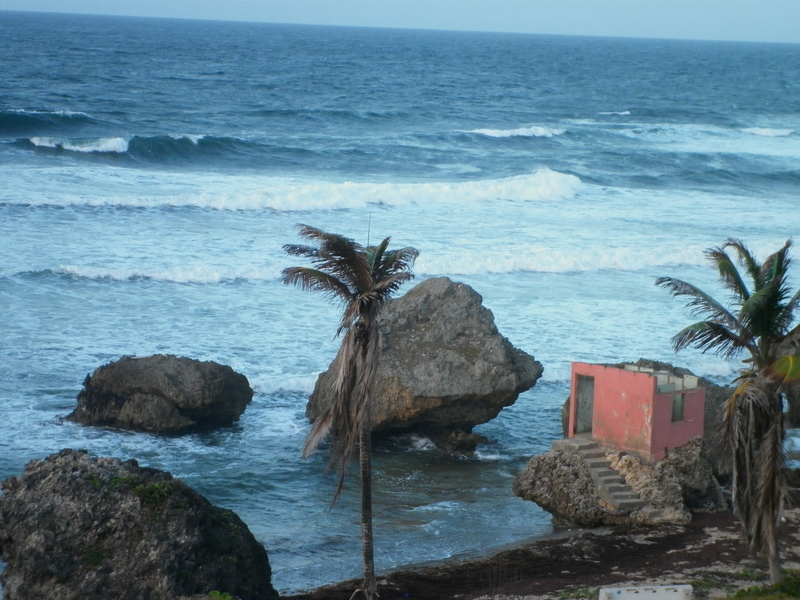 A sensory experience in Barbados: Atlantic Ocean waves roaring in Bathsheba, St. Joseph. 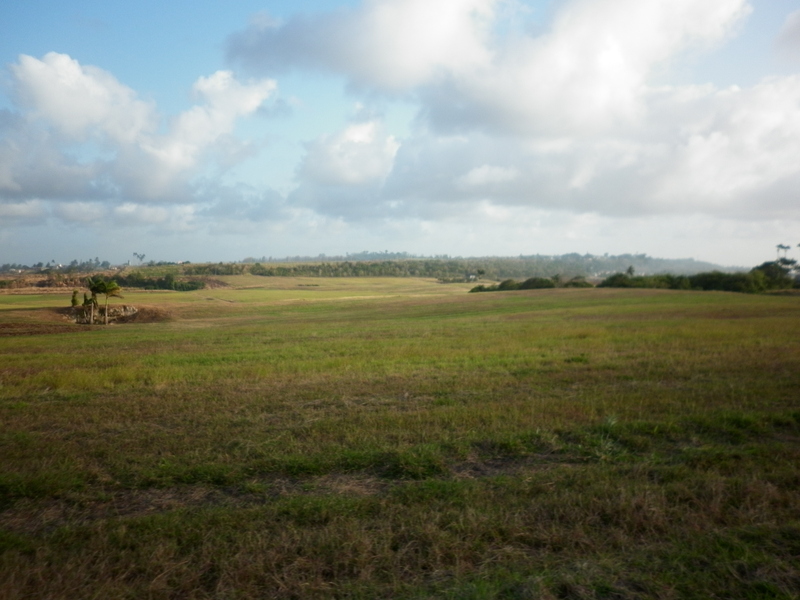 Barbados is beautiful by its people and by its landscape. Taking in flat terrain as far as my eye can see. Taking in warm breeze; as much of it as I can breathe. 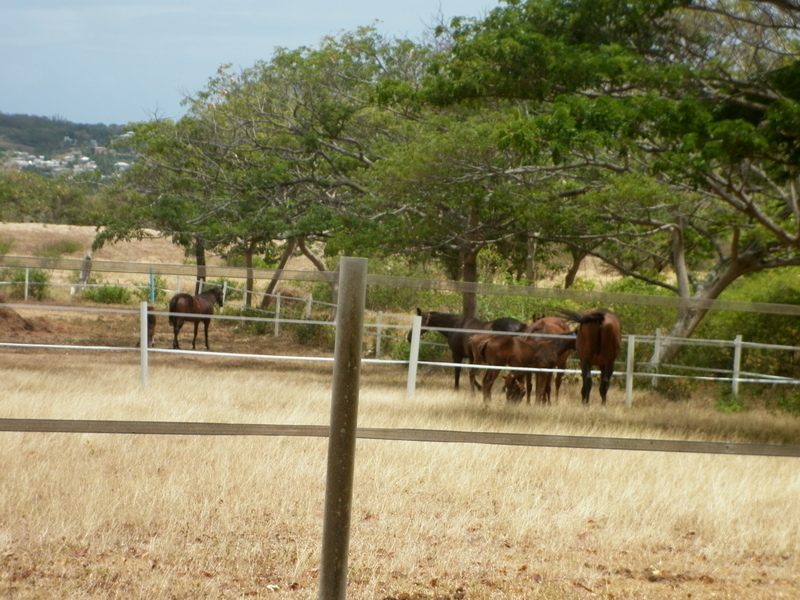 In the countryside of St. George, I stop to watch the horses. As the days progress and the frenzied pace decelerates, I truly feel this is my island in the sun. But here is the thing: I’m getting skinny. Stress can do that. Some people put on pounds; I lose them. In Toronto, planning for this work trip on Hurricane Janet had me skipping breakfast almost every morning. 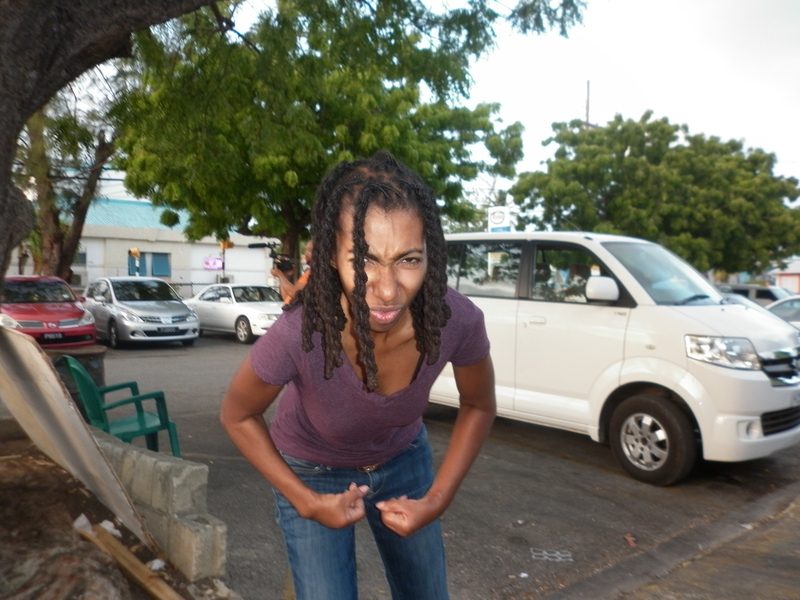 My futile flex after an interview in Oistins. That bad habit continues in Barbados, which now has me wondering why – when it comes to food – does maintaining our health and wellness feel like actual work? When we’re skipping meals or reaching for sugary cereals and processed, fatty foods for our “most important meal of the day” (the debate continues over that point), our bodies suffer because of our food choices. We can count on that. There is no revelation or new news here. Most people, including myself, understand this correlation. Still, I think I’m slick. Just because I’m not falling over onto a hospital stretcher, I keep the bad habit alive. Is that Toronto-esque? Wait, don’t answer that. It’s just harebrained. Clearly, my island in the sun is telling me about myself and the counterproductive lifestyle I’ve developed around daily meals. Let’s see what I can do to correct that.